When it is time to go to bed, most adults have routines: a cup of tea, a good book, watch a little TV, brush your teeth, or take a relaxing bath. No matter what routine you have, it helps you to sleep better. Babies are no different. They need a routine to help them get to sleep as well. It is up to you to help create a working routine for both of you. For babies, the routines can be simple and shouldn’t take too long. If it takes too long, the baby can sometimes get a second wind and it will be harder to get to sleep. A bath is a nice start to the evening. There are even soothing baby baths that are nice to use. Then you can snuggle them into some comfy pajamas. After that, sitting together in a rocking chair is a nice way to spend some time together before the baby falls asleep. Watch for steady breathing, and relaxed arms and legs. However, it will be helpful to ensure your little one falls asleep in their crib, and not on you in the rocking chair. Another wonderful addition to any bedtime routine is reading bedtime stories. This is one that will continue as your baby gets older. Children love bedtime stories, and it also encourages them to become readers themselves. It may take a while to find what works best for your baby at bedtime. Give it a week or two before you make any changes to see if your baby will adjust to it. If it’s still not working, try a slight change, only replacing one part of the routine. Eventually, you will find the right combination. Consistency is the key once you’ve established a routine that works. It may be hard to keep up with at times, but babies need that steady habit. Once they are used to it, bedtime won’t be a struggle, but an enjoyable time for both of you. Babies love to know what comes next so predictability and routine will build their sense of safety and security. It’s never too late to start a sleep routine, but around the age of four months is the sweet spot. That’s when the baby’s ability to self-soothe starts to kick in and they can go 8 to 12 hours without needing to be fed. Of course, even at four months, good sleep might not come naturally. Similar to any healthy habit – flossing, exercising, finding the inner strength to say no to a third slice of cake – sleep often has to be learned. But once the baby gets into a routine and sleeps through the night, it can make a world of difference to their mood and cognitive and physical development. It has been noted by many doctors that “sleep is as important as food for baby’s development.” It’s vital for parents too. Once your baby reaches four months and their circadian rhythms have developed, their bedtime should fall between 6p.m. to 8p.m. Choose a time that works for your family, taking into consideration when you leave for and get home from work. Once you do settle on a time, it shouldn’t change. Each element cues your baby that it’s snooze time and helps them get back to sleep on their own. Consistency is key. That way if your baby does wake up in the middle of the night, they’ll know just what to do. “They’ll see that it is dark, hear the white noise and get themselves to sleep’’. It is important to develop sleep associations and a consistent routine before bedtime is very important and can consist of a bath, massage, reading stories and a lullaby. In fact, the evening routine doesn’t need to take more than 15 or 20 minutes. Then take your baby to the nursery, put them in the crib, turn off the lights, turn on the white-noise machine and leave the room. That’s it. Daytime naps and feedings play a big part in what happens at night. If baby gets too little or too much sleep during the day, it can disrupt the bedtime routine. Bad habits are hard to break. Sometimes a sleep routine can take just two days to establish. Sometimes it can take weeks. Stay with it, though, and there will be no stopping your baby. Babies truly thrive when their life is consistent and they know what’s coming next. Once your baby has established good sleep habits from when they’re very young, it’s going to benefit them for the rest of their lives. 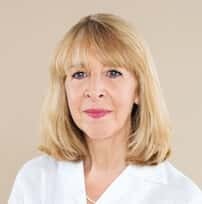 Julie Mallon is a British trained nurse, midwife and sleep consultant and Founder of NurtureToSleep, a sleep consultancy. Julie has completed a 15 week programme with the Infant Mental Health Promotion provided by the University of Toronto and is currently registered with the International Maternity and Parenting Institute. She became certified with popular North American Sleep Coach and author Kim West in June 2016.